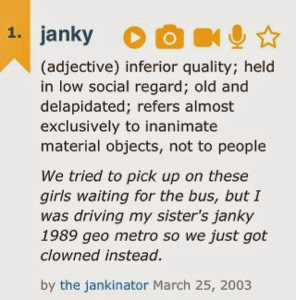 I have never used the word “janky” before. I have never said it out loud and I have never written it. After seeing this particular bathroom this past weekend, it was the word that came to mind. I cannot with good conscience use any other word to describe it at this point. 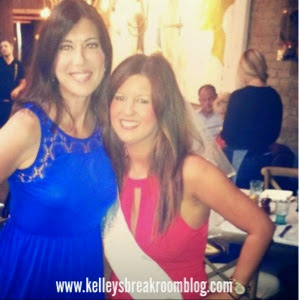 This past weekend was my future sister-in-law’s bachelorette party. 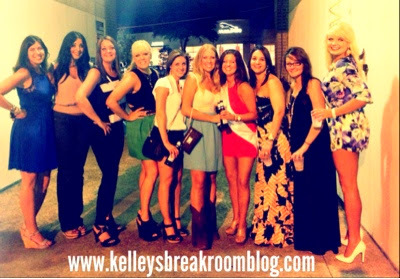 I haven’t been to a bachelorette party in probably 15-20 years. I wasn’t sure I could hang but I drove to Austin anyway. The trip didn’t start out great. On the way there, I was talking to my grandmother. This is the same grandmother I was talking to when a bird took a crap in my hair and she wasn’t having it when I said I needed to hang up to wash it out. While we were talking, I took a wrong turn off the freeway and didn’t realize it until 30-40 minutes and some random cows later. I have only driven that path a few trillion times. How did I actually take a wrong turn off of a main freeway?? Once I arrived in Austin at the hotel, I tried to drive into the valet garage because my brain doesn’t work. I saw the red x’s pleading with me not to enter, but I entered anyway. (Part human/whole rebel right here, folks.) Nice Valet Guy met me at the front of the garage and told me I had to turn around. I already had the car in reverse. Couldn’t he see that I already had the car in reverse? I’m leaving! I’m leaving! When I finally walked into the hotel after stressing and hurrying up and stammering my way through the valet experience (I’m already at the valet?! I got here too fast! Where are my keys? I have too much trash in here! Why did I make two stops at Sonic on my way here? Does Young Valet Dude thing I’m part-billy goat? 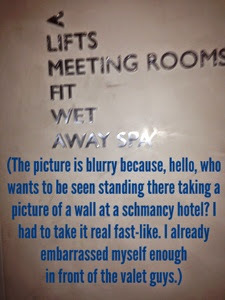 ), I couldn’t find the dingdang elevators because the W hotel calls them something different than every other hotel in a 500-mile radius. Once inside the “lift”, I got stuck in it because I didn’t have a room key. My roommates asked that I meet them in our room. They had forgotten that I needed a key. I had to wait until a bellboy came in the lift that would trust that I actually belonged in that hotel. This was the one day I was really glad I left my “THUG LIFE” knuckle rings at home. Later that Friday night was the first night of the weekend for me. Some of the girls had arrived the night before. We went to eat at a really trendy (and yummy) Austin restaurant called Searsuckers. After that? THE PARTY BUS. Lawduhmercy, they got a party bus. I half expected the party bus to blurt out, “MOM OF TWO ON BOARD! MOM OF TWO ON BOARD! PLEASE STEP OFF THE BUS, MOM OF TWO ON BOARD!” when I stepped over its threshold, but it stayed silent somehow. I realize now it was because that bus was tore up from the floor up. Somewhere along the way, one of us began to smell something burning. Word got around in a half millisecond and there may have been some slight panicking taking place. The nice bus driver smelled it, too, so he pulled over and we all got out at a do-it-yourself car wash.
And looked around some more. And took a picture inside a car wash bay. It was right across the street from the car wash. Bus Driver Guy was going to be at least 45 minutes before he came back around with a new ride. Do-it-yourself car washes aren’t wise places to stand around at night, so Don was getting some visitors, whether he liked it or not. This was one of the first lovely sights I beheld as we made our way into this somewhat dusty night spot. Now, I’m not sure if that was Don or not, but I think if it’s not, Don’s Depot should change the name to whatever this guy’s name is… Ed? Ed’s Depot! Bill? Bill’s Depot! Earl? Earl’s Depot! It’s not quite the same alliteration but credit is being given where it’s due, because that dude could tickle those keys! 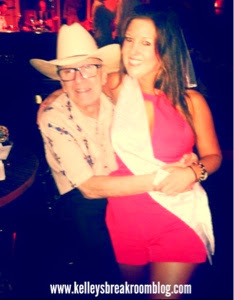 He put Brooks & Dunn to shame! Don’s Depot ended up being a fun surprise. 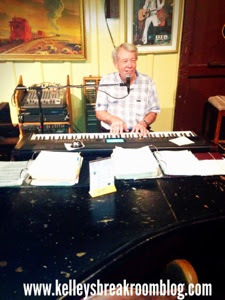 Not only did we have Billy Joel Sr. at the piano, we had lots and lots of older folks swirling around the dance floor. I mean, it was like Cocoon Unleashed up in there. I have never seen such a thing. With all of these cutting edge class acts walking around, it is hard for me to believe no one has yet to speak up about the janky bathroom. Since Bus Driver Guy was taking a bit long to return, I had to visit the restroom. I should have known I was in for a janky treat when I passed the popcorn machine on my way in. Was I at a circus or a dusty night spot? Wow, wow, wow, wow, WOW. 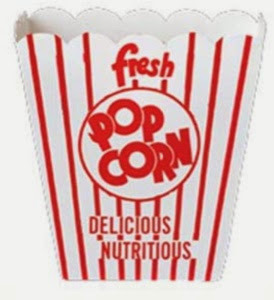 The manufacturers that make those popcorn buckets must’ve been given the job of decorating that place! That’s probably how that went. 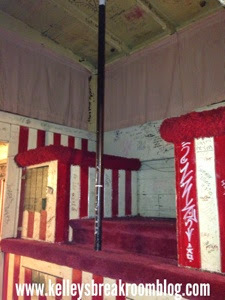 Not only were the walls wacky and the carpet atrocious, they had this thing in there! The heck? Seriously, THE HECK? This is a lady’s only restroom. This was only accessible by climbing up and into it. It was dirty and icky and JANKY. But, of course, I had to see what it was like up there. I’d show you the picture but I noticed I had a little bit of Spanx playing peek-a-boo and nobody wants to see that. Just like I don’t want to see this janky bathroom again. Despite the bathroom trip, it was a fun weekend. I wasn’t quite able to keep up with the rest all weekend long, but I had fun anyway! Is your bathroom painted in a Janky Popcorn Bucket shade? 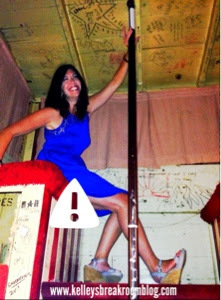 UPDATE: My reader friend, Lyndsey, said that Don’s Depot is on the list of the top 35 things to do in Austin. It turns out that the depot is an old Missouri-Pacific train station. 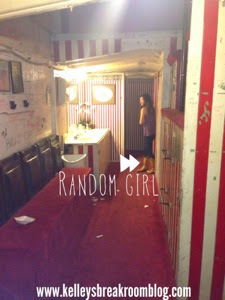 The lady’s bathroom is a REAL caboose!! That is why it is so janky!! Go in the caboose to take care of your caboose. Ha! Oh, I liked that joke.